Welcomed by our representative on Indira Gandhi International Airport and Proceed for the check in at hotel. In the evening, enjoy the Light and Sound Show at Red Fort and later return to hotel for dinner and overnight stay. After breakfast in the morning, proceed for the sightseeing tour of the city. Starting from Old Delhi, visit Red Fort, Jama Masjid, Rajghat, and Chandni Chowk to New Delhi that includes Rashtrapati Bhawan, India Gate, Birla Mandir, Humanyun’s Tomb, Qutub Minar and later return to hotel for overnight stay. After breakfast in the morning, drive to Mandawa en route visit Nawalgarh, visit the little town Shekhavati Region comprising of Forts and Havelis. Later continue the drive to Mandawa and on arrival, check in at heritage hotel. Enjoy the walk in the traditional town in the evening and traditional music and dance and performances by local artists during the gala dinner. Overnight stay at hotel. After breakfast in the morning, explore the Mandawa town including the havelies like Binsidhar Chokhani, Newatia, and Gulab Rai Haveli. Later drive to Bikaner and en route explore Deshnok, known for the Rat Temple. Continue the drive to Bikaner and check in at hotel on arrival. Evening free for leisure, and overnight at hotel. Post breakfast in the morning, leave for the city tour of Bikaner, and visit the Junagarh Fort. Later drives to Jaisalmer en route explore Pokhran, Pokhran Fort, and Pokhran Museum. Later proceed to Jaisalmer and check in at hotel on arrival. Later take a walk to the local market and overnight at hotel. Post breakfast drive to Manvar in Dechu. 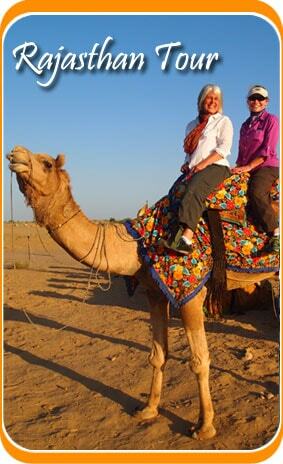 Check in at hotel upon arrival and proceed to camels for a desert safari till Manvar Camp Site reaching by the sunset. Overnight at desert resort. Early morning jeep safari to nearby desert village and later drive to Jodhpur and en route visit the Bishnoi Village. Also watch and photograph the wildlife and continue the drive to Jodhpur. Check in at hotel on arrival and spend the evening exploring the local markets. Overnight at hotel. Post breakfast leave for the sightseeing tour of the city; visit the Mehrangarh Fort, Jaswant Fort, Maid Bhawan and Palace Museum. Later drive to Udaipur and en route visit Ranakpur for ancient Jain Temples. Enjoy lunch at Maharani Baugh and proceed to Udaipur. Post check in, visit the Lake Bageela 22kms for a sightseeing tour of Eklingji ad Nagda Temples. Later back to Udaipur and explore the local Markets. Overnight at hotel. Post breakfast in the morning, visit to Chittourgarh City. 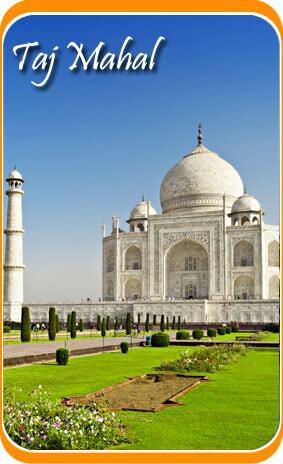 Visit the Tower of Victory, Rani Padmini Palace, Man Mahal, Mira Temple, Temples of Shiva. Followed by Kirti Stambha, Rana-Kumbha Palace, Meera Temple, Padmini Palace, Kumbha Shyam Temple and Kalika Mata Temple, State Archaeological Museum. Later drive to Udaipur Airport to board the flight for Delhi. On arrival lave for Delhi International Airport to board the flight for the onward destination.